After years of disuse, the Fotoplayer at the Seaview (né Glenelg Theatre) at Glenelg, was purchased by the late Alf Broadbent of Macclesfield, S.A., who installed it at his property. He reconstructed the instrument entirely, converting it into a two-manual and pedal instrument of some twenty speaking stops. He added many home-made pipes to it, some being made of paper, while the pedal Bourdon was constructed using timber from the property. 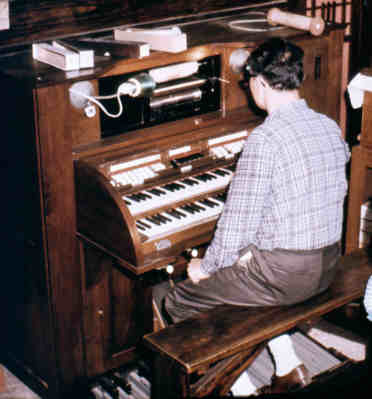 The organ at Macclesfield was visited by TOSA on several occasions, and was a popular feature of Adelaide TOSA conventions. 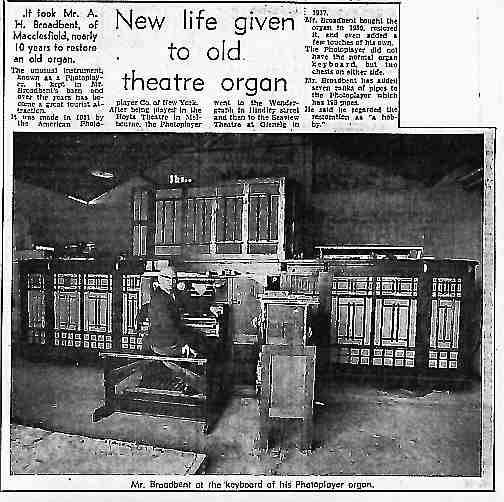 Some time after Mr Broadbent's death in 1974, the organ was purchased by Mr Barclay Wright of the Mastertouch piano roll company. It was transported to Sydney, and reassembled in 1976 at the company's factory in Petersham.